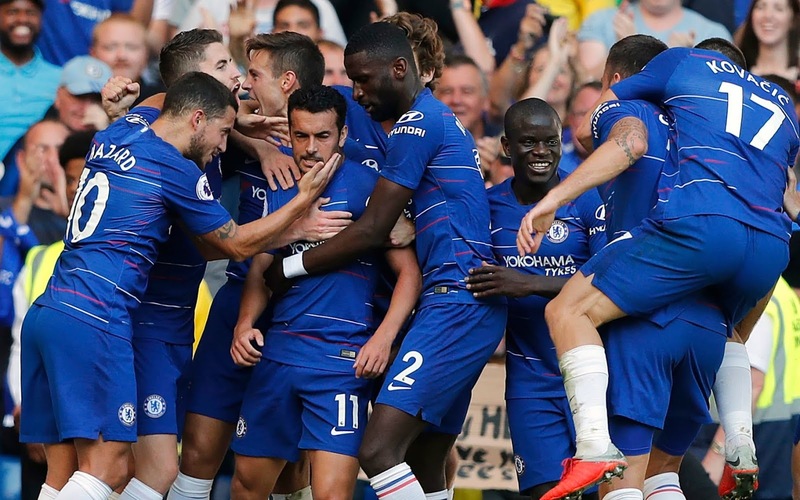 The omens are good for Chelsea and head coach Maurizio Sarri following their fourth successive Premier League victory that maintained the club’s 100 per cent start to the season. 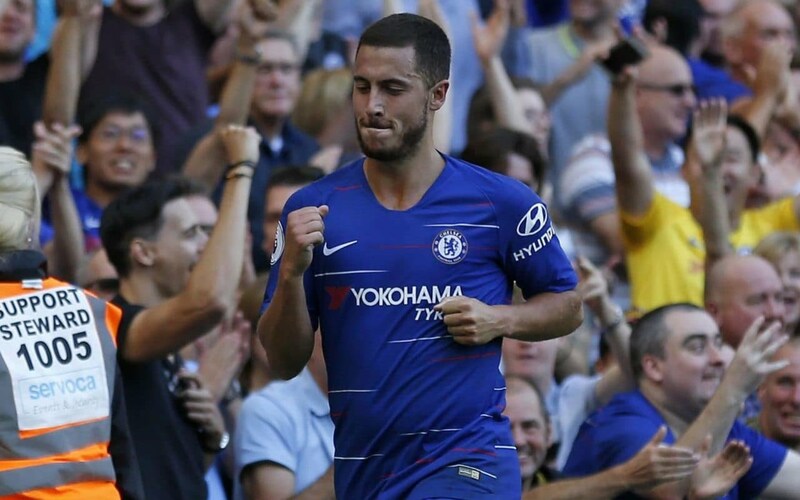 Chelsea have been crowned champions in four of the five previous seasons in which they have won their first four games and Eden Hazard is already enjoying life under Sarri. Hazard’s second goal of the season means the brilliant Belgian has scored twice and assisted twice in his four appearances since Real Madrid were told to sling their hook in the summer. If there was any fear Hazard might sulk over his dream move being denied, then Chelsea’s Premier League rivals already have their answer – no such luck. Chelsea’s worry will be what happens if Hazard gets inured or has an off-day, as they are still far too reliant on the 27-year-old, but, for now, the Stamford Bridge regulars are just grateful they can still watch him. And, although they do not appear as strong as Liverpool and Manchester City, Chelsea will always have hope when Hazard is on the pitch. “I know when I play good the team play good, so I need to be ready for everything,” said Hazard. “The season is long, but we will fight to the end and we will keep improving. Hazard’s goal came with five minutes remaining after he played a wall pass with Marcos Alonso and sent his shot under the body of former Chelsea goalkeeper Asmir Begovic. The Blues were already ahead at that point after Sarri’s decision to send on Olivier Giroud and Pedro paid off, as the pair combined for the Spaniard to net his third goal of the campaign. Despite admitting Chelsea’s start under him is going better than expected, Sarri is refusing to take any notice of history. “At the moment I’m very happy with my players,” said Sarri. “They improved very well during the week and in matches. Asked about Chelsea’s record of winning the title when they start with four victories, Sarri added: “I think that now for us it’s better to think about the next match. The gap at the beginning was 30 points. I think it’s very difficult to recover this gap in only one season. Alonso’s contribution was almost as important as Hazard’s and Sarri had high praise for the left-back, who has scored, made two assists and won two penalties for Chelsea this season. “Alonso at left-back is maybe the best in Europe,” said Sarri. “He’s doing very well in the offensive phase, but I also think he can improve in the defensive phase. Eddie Howe’s team suffered a first defeat, but the Bournemouth manager was heartened by the fact the Cherries should have capitalised on poor defending with Callum Wilson and Narthan Ake missing from close range. “I thought we did well for long periods” said Howe. “Chelsea are a different team this year, a totally different way of playing. Alonso went closest to breaking the deadlock in the first half with a shot that hit the post, but the visitors will have gone in at the break believing their game-plan was working. David Luiz was caught napping when Diego Rico sent in a cross from the left, but Wilson could only divert the ball wide. After the break, Ake should have scored against his old club for the second successive season, when Rico’s corner eluded everyone but the defender skied the ball over the bar from four yards. Sarri reacted by sending on Giroud for Alvaro Morata and Pedro then replaced Willian for the final 25 minutes. The substitutes combined in bizarre fashion as Giroud’s volley hit Pedro and the ball whistled inches wide of Begovic’s left-hand post. But there was nothing lucky about the slick move involving Giroud and Pedro that ended Bournemouth’s resistance. Pedro, played the ball to Giroud before receiving it back on the outside of the area and beating Begovic with a shot that deflected off Cook. Hazard then ensured Chelsea’s perfect start extended into the international break.